My first semester at the Ohio State University has been filled with joining student groups, fighting the urge to procrastinate, and going on adventures with my fellow humanities scholars. I’m not just talking about the trip to Chicago, even though that was a really fun excursion. I will forever remember the trip we took to the Italian festival or trying to paint along with Bob Ross which is more stressful than some of my classwork. One of my fears going into college was I wouldn’t be able to connect with as many people and be unable to stay afloat but I’m glad that fear has been erased entirely. I also used to be afraid that I would not be able to keep up with my classes, but college has improved my studying skills greatly. Relating to this, I would like to thank my bullet journal especially for keeping me organized. In general, most of the things I worried about before I came to college I don’t think about anymore. For the rest of my semesters at Ohio State, I plan on staying involved with the humanities scholars program by attending the Broadway in Columbus shows, going to daytrips within Columbus, and eventually becoming a mentor to be as helpful as mine were for me. Before I even started interviewing Hayley Svensson, she opened her boo k bag to pull out a Ziploc bag filled with a large hunk of bread. Not like a thin slice of white bread, but a good chunk of a homemade loaf. I felt that it was only natural that the interview became centered around this bread. She explained when her family, both immediate and extended, made the annual trip to Myrtle Beach, her great aunt baked a loaf of traditional Swedish bread for everyone. Unfortunately, family health problems prevented this trip from continuing, yet her great aunt persisted and began to mail out these loaves of bread once in a blue moon. Hayley said how the bread reminds her of her Swedish heritage from her father’s side, and how she doesn’t have these same kind of traditional influences from the Israeli heritage from her mother’s side. Expanding on this, she believed that because she has met her living relatives from Israel and she has no relatives who are currently living in Sweden, the Swedish traditions are more prevalent in her life in order for Hayley to not forget either side of her blended heritage. My first week at THE Ohio State University began a few days before the rest of my fellow buckeyes since I had joined the OWL program. I do not regret this decision at all, as it allowed me to move in on a different day than my roommate and I got to meet a few people in my hall before the welcome week chaos started. Plus, I got a free tee shirt out of it so I’ll definitely sign up again next year. Once official move-in day was over, my time stopped being planned out for me and all the freedom of college hit me like a punch in the face. I was excited about this new independence I experienced during the first week, but it also scared me. On one hand, I liked being able to function on my own but on the other I felt like I was drowning in the enormous OSU student body. This is part of why I’m glad I joined the Humanities Scholars as it makes the campus seem much smaller. I especially enjoyed the first year retreat where I was able to meet a bunch of other humanities scholars, and then later in the week be able to walk by a familiar face. The actual classes part of college has so far not been as difficult as advertised, but I think that’s only because it’s syllabus week. For the rest of the semester, I expect for the coursework to only increase in difficulty. Even though I have classes with a little over 400 people in them, I’ve managed to make a friend in each course which hopefully will be helpful when I eventually forget to charge my laptop and can’t take notes during lecture. I enjoy the content of the courses more than I initially thought, especially Italian 1101 which was surprising since I was not a fan of foreign language classes in high school. College hasn’t been exactly what I expected, but more of a combination of pleasant surprises. I am excited for the rest of the year and can’t wait to see what happens. 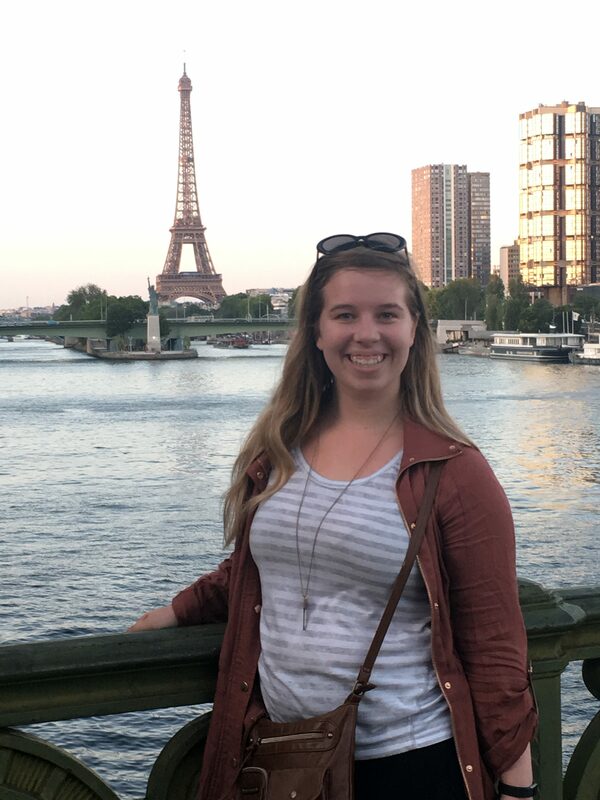 Zoe Thomas is a first year communications major at the Ohio State University and part of the Humanities Scholars. In high school, she was an officer for National Honors Society, a leader in the marching band, and co-founder of the Bradley book club. In college, she has join the Public Relations Student Society of America, College Democrats, and Theatre Arts Group, which is a volunteer group that gives a theatre program to local schools that do not have one. 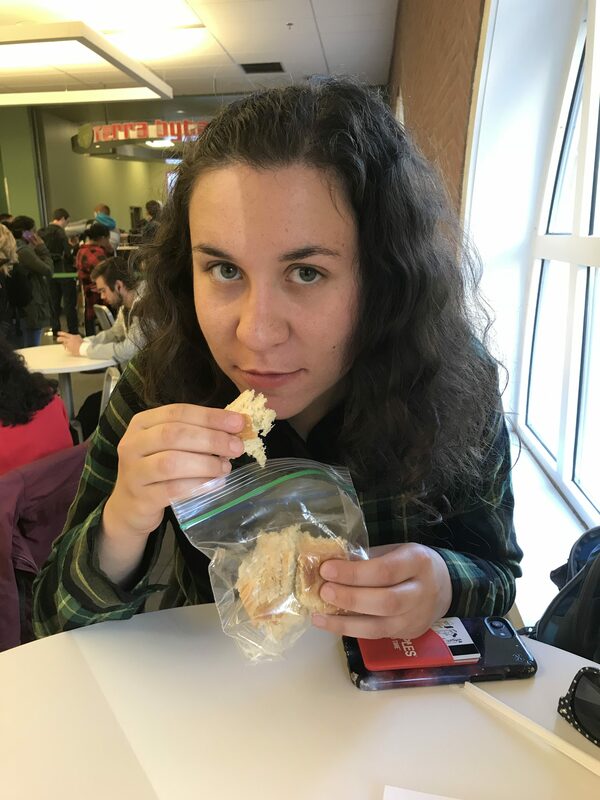 She also loves writing and has been published in a central Ohio teen literary journal three times along with having two of her short plays produced by MadLab Theatre. Zoe hopes to make the most of her time at Ohio State and is excited to begin her college experience.